Give a beautiful traditional look to your decor by placing this gorgeous flat-woven cotton dhurrie. It is made on handloom. It is a reversible cotton dhurrie and you can use it for life long. This dhurrie is beautifully woven on a handloom with our talented craftsman. It is made in pure cotton material. The warp and weft both are in pure silk. 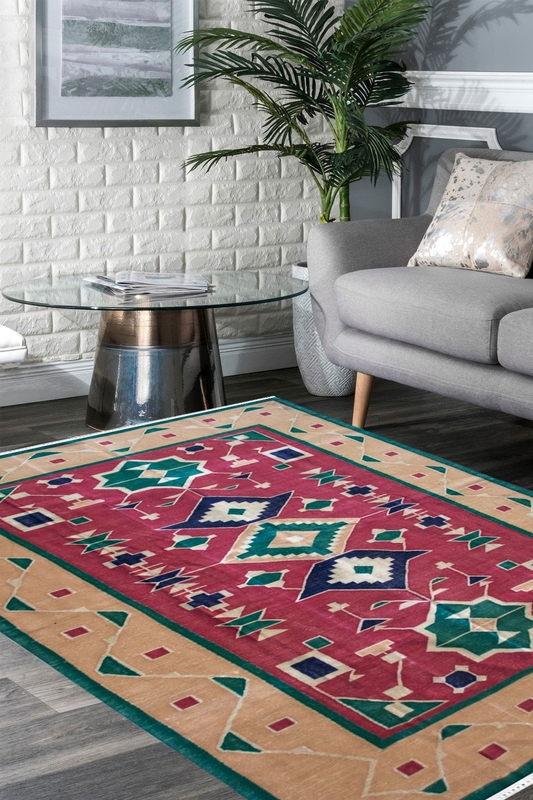 Due to pure natural material and inter-weaving technique, it is a highly durable dhurrie and rug. This is 100% hand washable. You can clean it with warm water and detergent. You can also use a hard brush to remove dust and spot from your dhurrie. The primary colors are pink, green and blue. It contains a traditional design pattern.